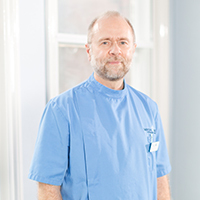 Pedro-Martin has been a Clinical Director at Barton Lodge since 2017. He attended the University of Zaragoza (Spain), College of Veterinary Medicine, where he earned his Veterinary Medicine degree in 1986. After arriving in the UK in 1990, he initially worked at the PDSA for 5 years before moving to a small animal practice in Middlesex. For many years, Pedro-Martín has been heavily involved with the running of the British Small Animal Veterinary Association (BSAVA). He has been chair of the Metropolitan region, chair of PetSavers (BSAVA’s charity) and, presently, he is member of its Publications department. Pedro-Martin is a very experienced and dedicated veterinary surgeon, performing complicated soft tissue and orthopaedic procedures, as well as a keen medic. He always liaises with every pet owner before undertaking any treatment, never performing any unnecessary procedures, and treating all pets as his own. Pedro-Martin is the proud owner of a dog and two cats.